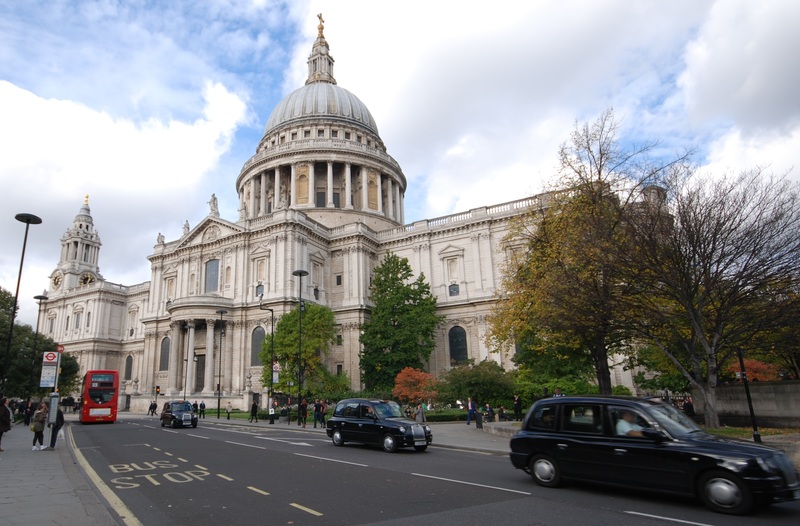 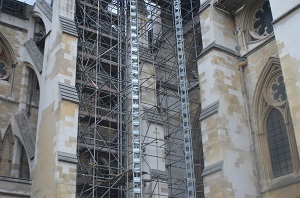 We are delighted that Listed Heritage Magazine has featured a two page article on our works to Westminster Abbey. 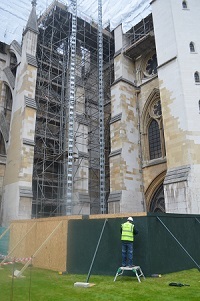 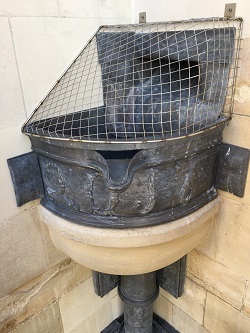 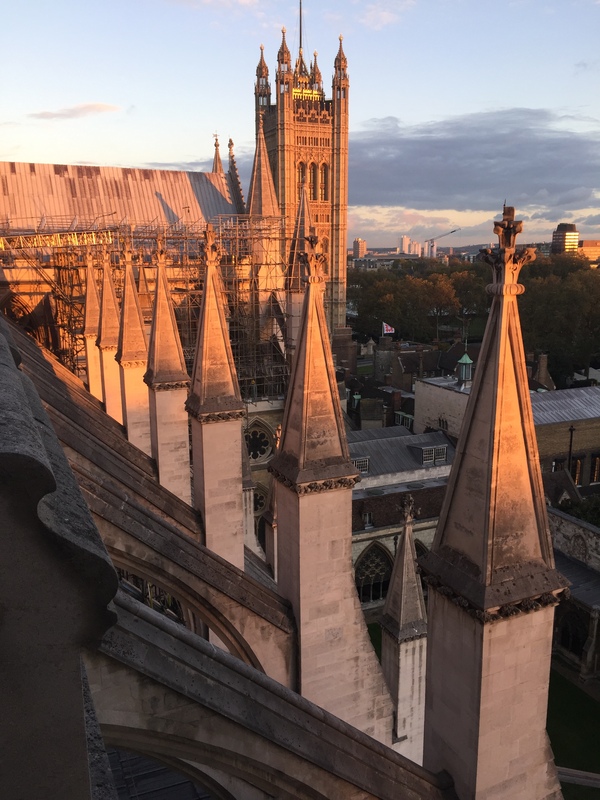 Under the instruction from Ptolemy Dean Architects Ltd (Westminster Abbey’s Surveyor of the Fabric) we are carrying out restoration and repair works to the roof of the medieval South Triforium and the Great Cloister within Westminster Abbey. 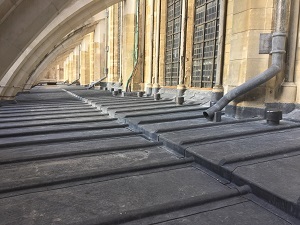 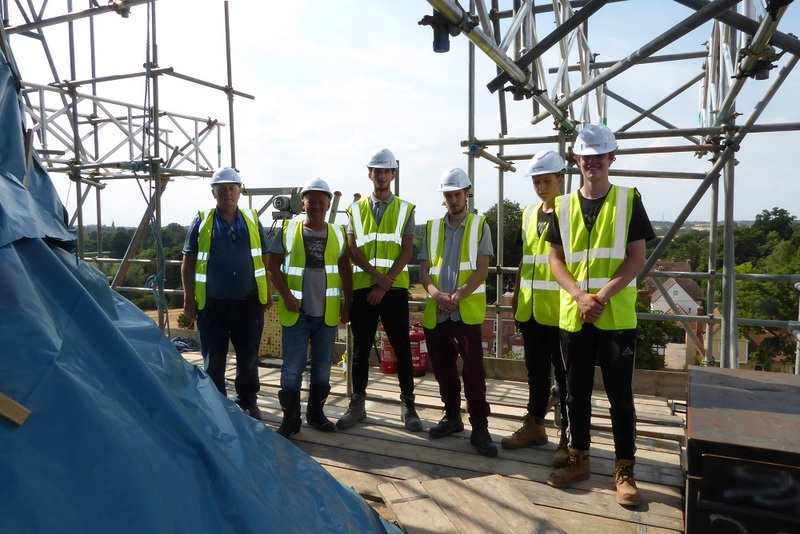 The roof works will be completed in time for the opening of a new museum and gallery, located in the Abbey's medieval Triforium, due to open later this year. After being hidden from public over 700 years, the Triforium will become “The Queen's Diamond Jubilee Galleries”. 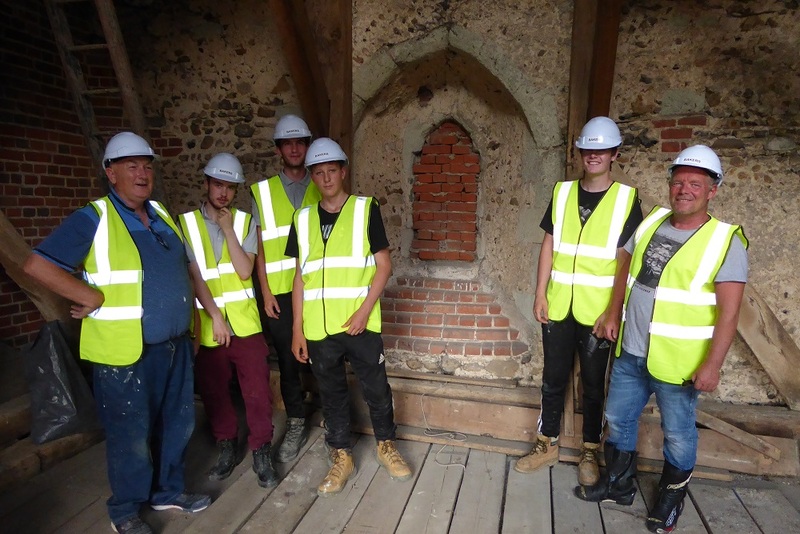 We are delighted that Listed Heritage Magazine has featured a four page article on our works to The Charterhouse. 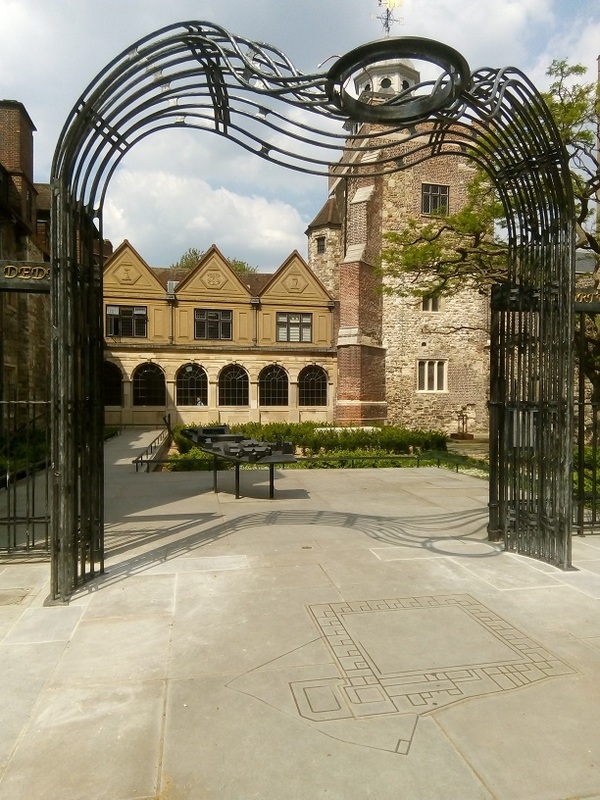 Having been hidden from view and closed to public for over 650 years - the Charterhouse, a historic London landmark was recently opened to public by the Queen and Duke of Edinburgh (28 February 2017). 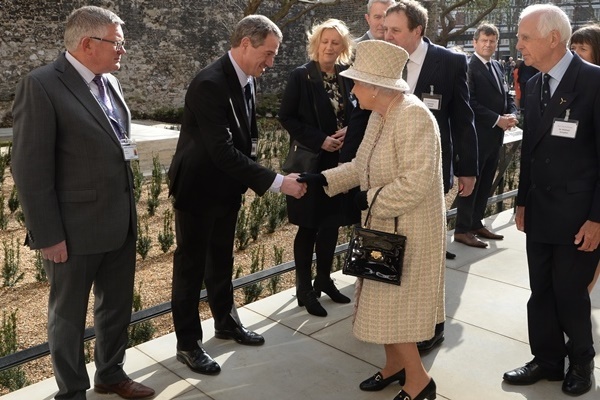 The Queen also unveiled a plaque to mark the occasion. 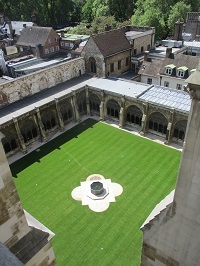 In recent months Charterhouse underwent a large conservation, restoration and alteration project “Revealing the Charterhouse”, which included remodelling of the Grade I listed building to house a new museum and learning centre; which explores the history of the Charterhouse from the Black Death to present day. 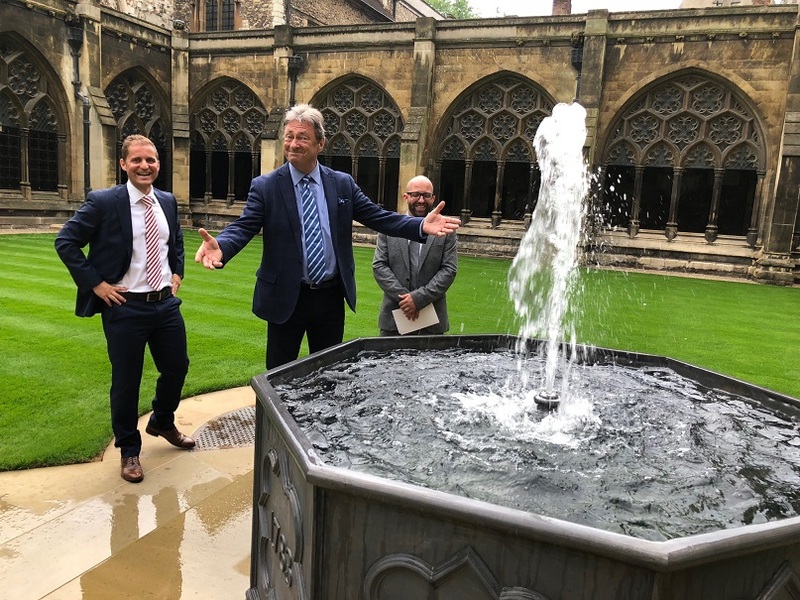 The recently completed £4 million project, “Revealing the Charterhouse” was funded through the Heritage Lottery Fund and other generous supporters. 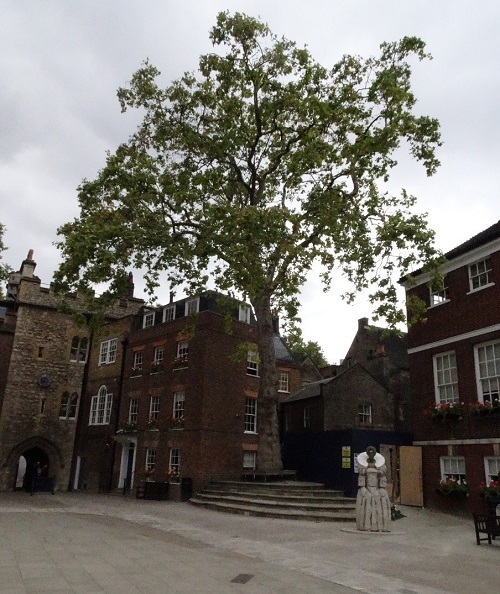 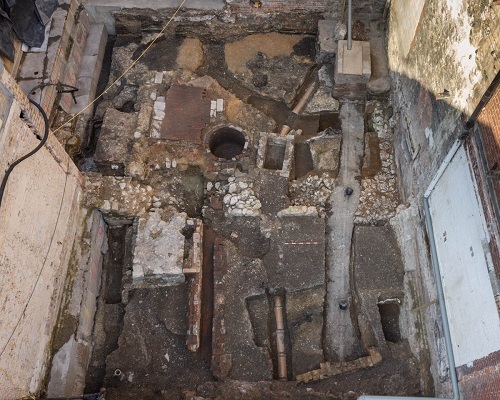 The project aimed to share the Charterhouse heritage with public, as well as conserve and restore the Charterhouse itself, including the Chapel and the Charterhouse Square, to which the Charterhouse buildings surround part of. 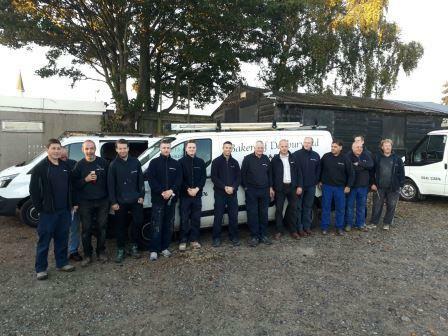 To ensure that the whole project was carried out to the highest standard, Bakers of Danbury were appointed Principal Contractors. 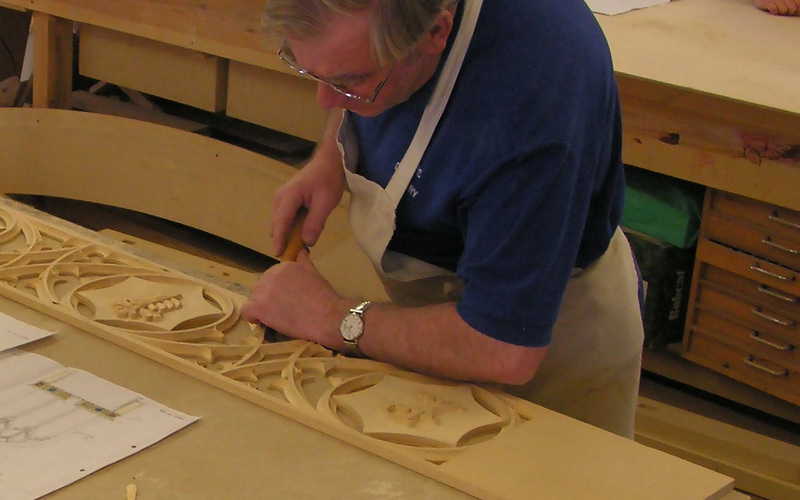 With over 135 years of traditional craftsmanship handed down through generations, Bakers of Danbury have long been associated with the regions fine historic monuments and buildings. 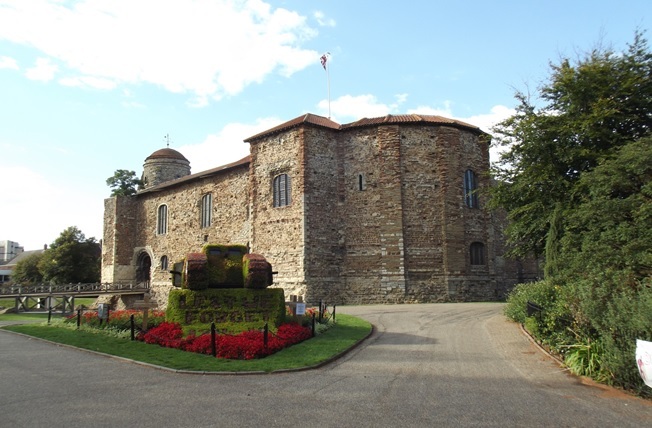 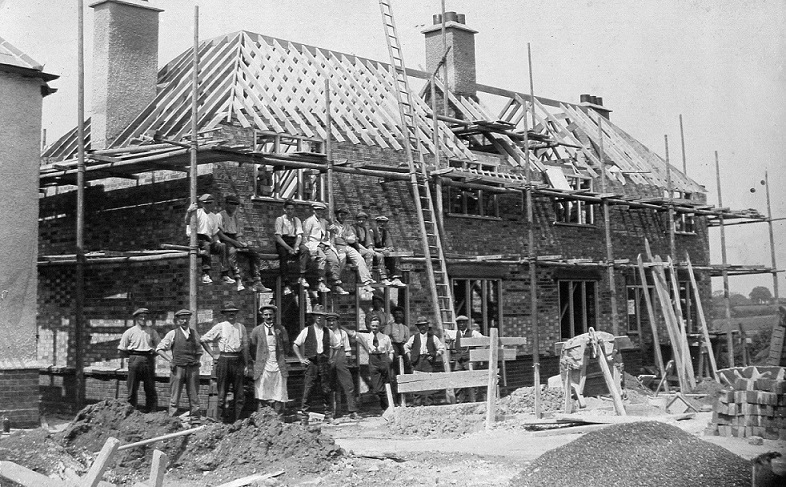 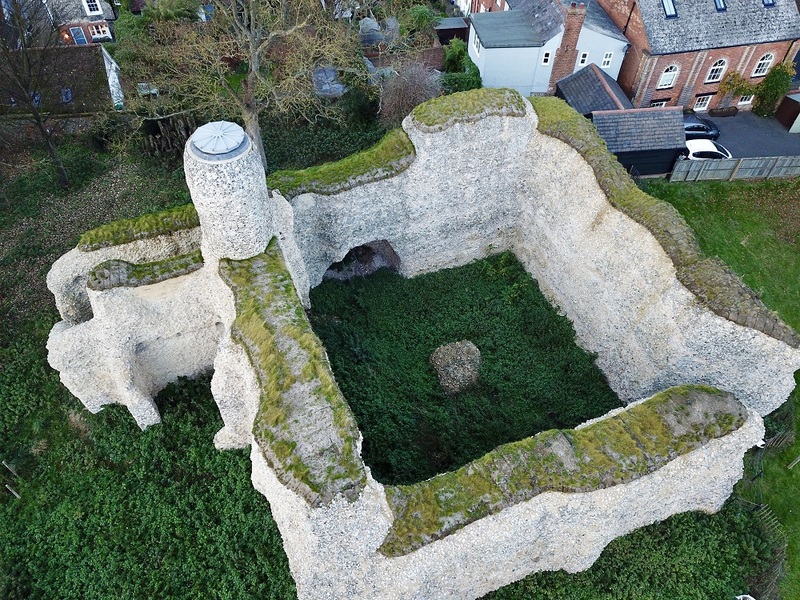 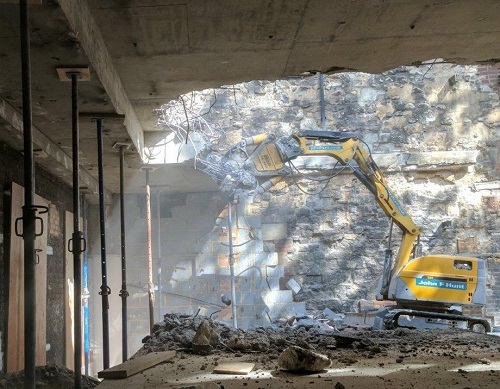 Bakers of Danbury’s previous experience of working on the Charterhouse include mechanical and engineering with associated sensitive builders works and conservation works. 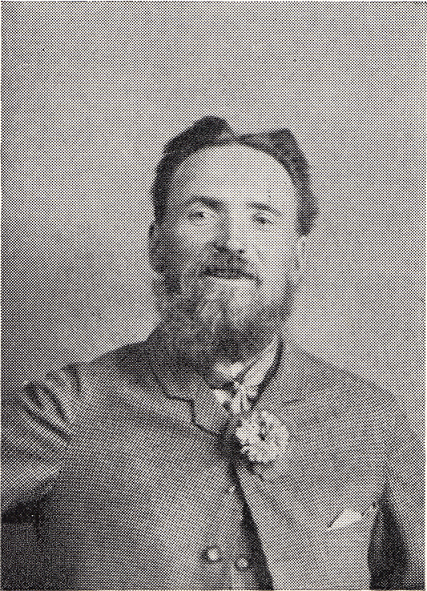 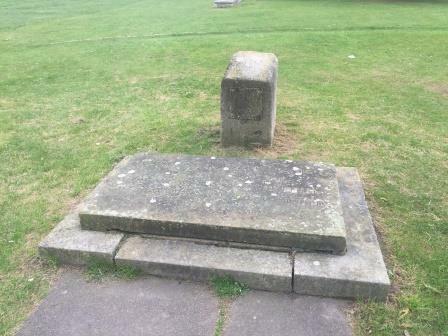 Over 50 years have passed since Bakers of Danbury were originally instructed to install a memorial stone for King Harold within the grounds of Waltham Abbey church. 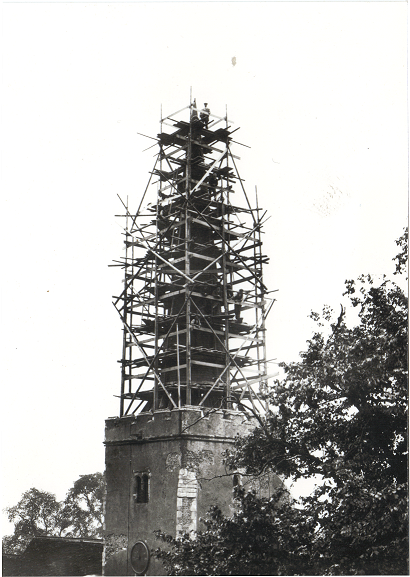 Fast forward to 2017 and Bakers of Danbury have returned to restore the stone memorial. 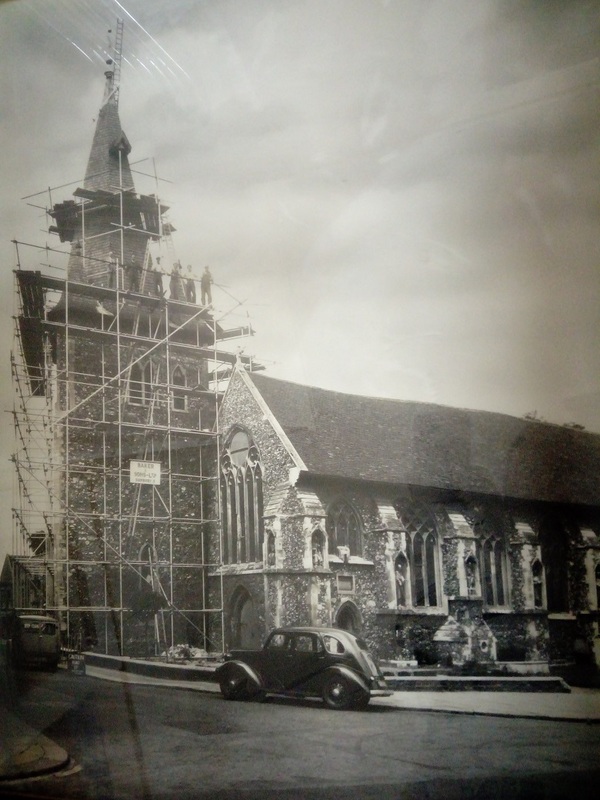 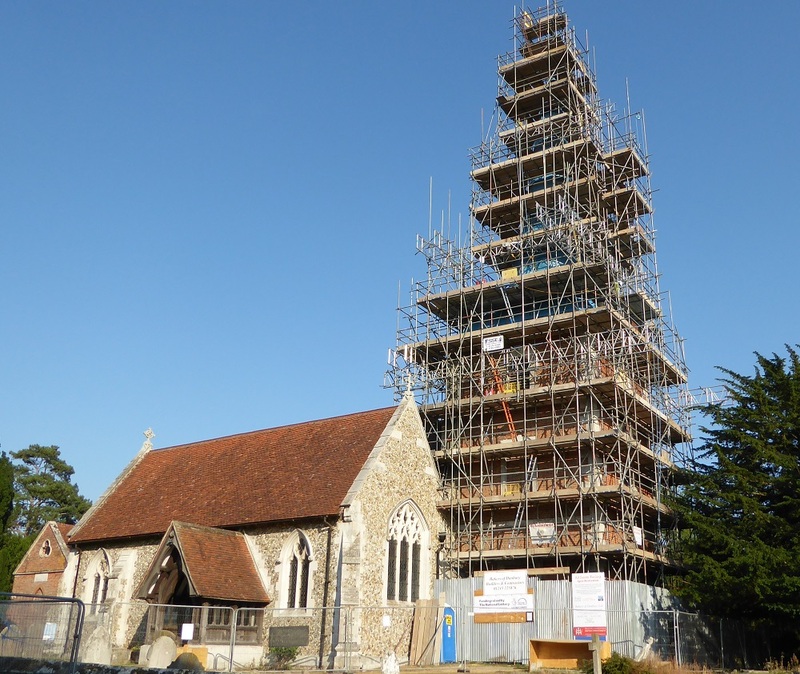 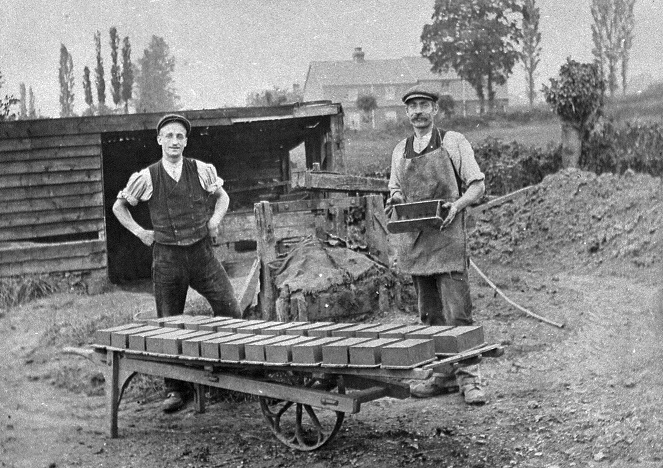 The monument was originally installed in the churchyard in 1964, overseen by Mr David Wood who later became Managing Director of Bakers of Danbury. 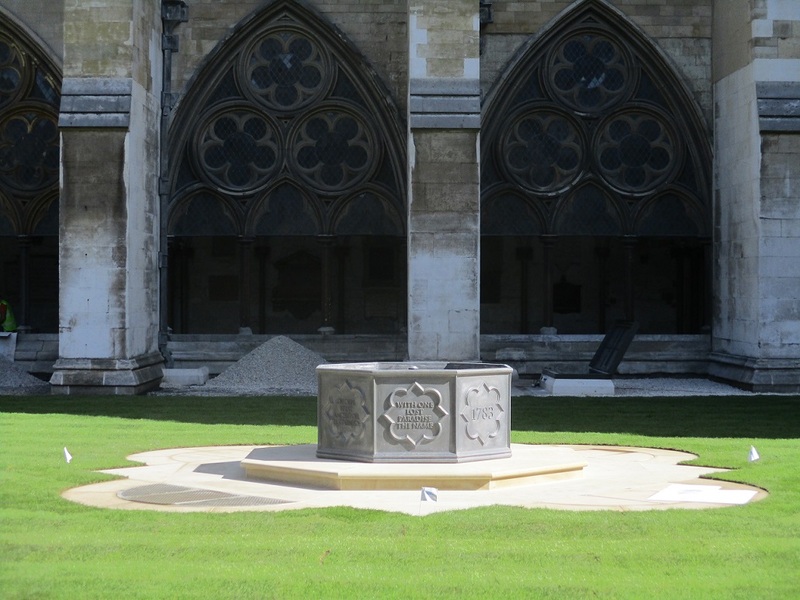 Bakers of Danbury have returned over 50 years later to restore the memorial. 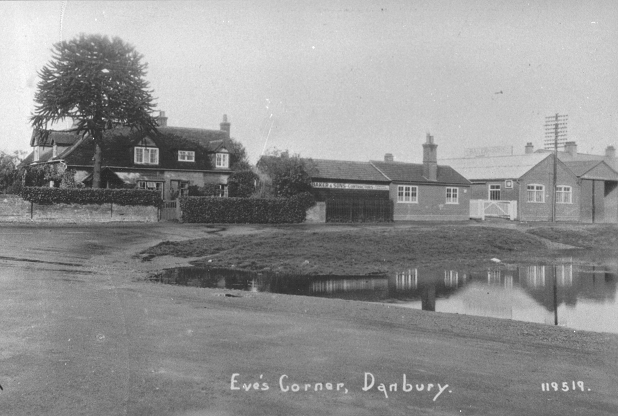 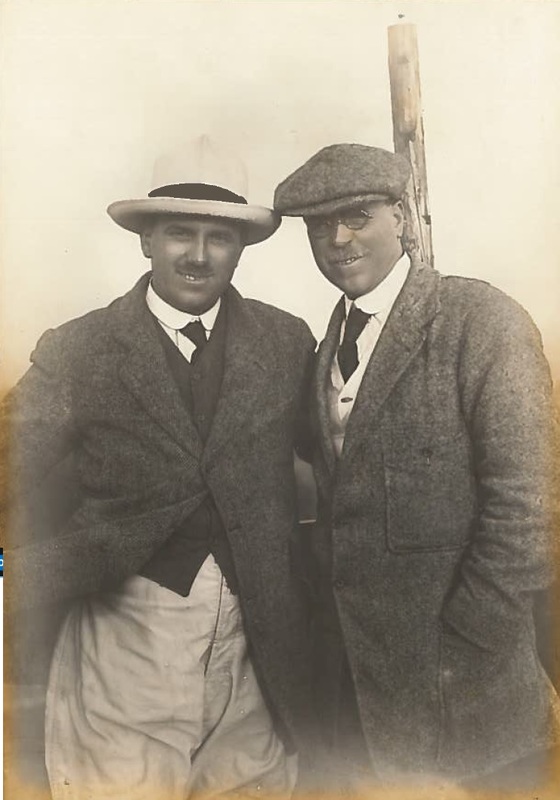 This time, works were over seen by David Wood’s son, Antony Wood who having followed in his father’s footsteps, is now a Director of Bakers of Danbury. 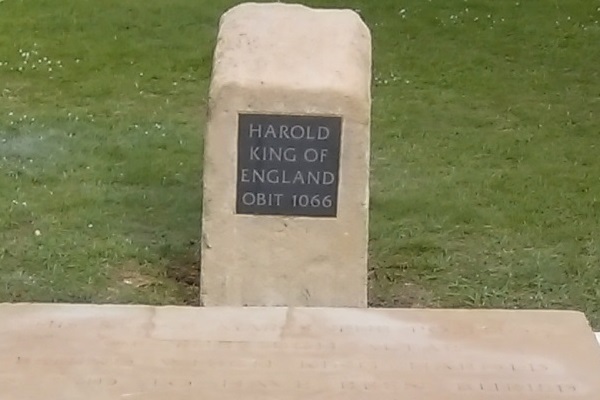 The simple granite memorial consists of a small plaque of smooth granite inlaid, with the inscription “Harold, King of England-obit 1066”. 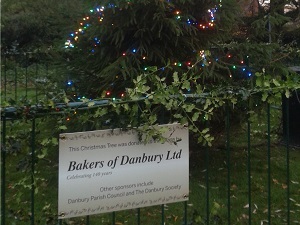 In addition to restoring the original memorial, Bakers of Danbury also donated and installed a new inscribed plaque. 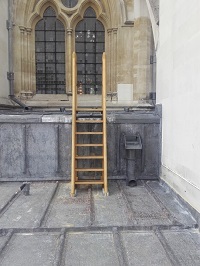 The existing tablet in front of the memorial stone, (with the inscription “This stone marks the position of the high altar behind which King Harold is said to be buried 1066”) was also cleaned and restored. 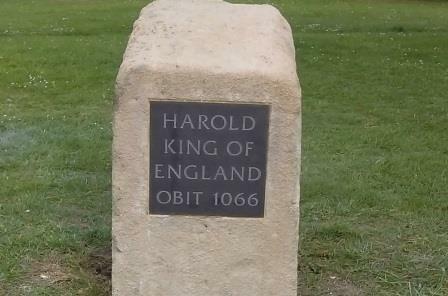 This is all part of the 950th anniversary events commemorating the death of King Harold at the Battle of Hastings. 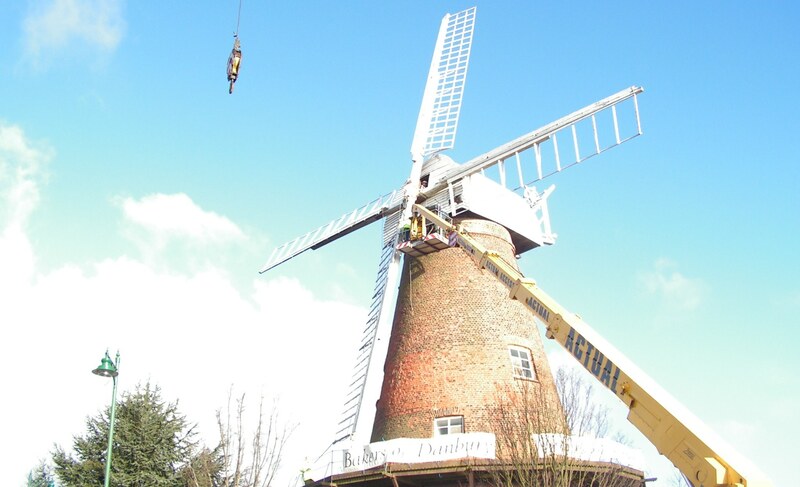 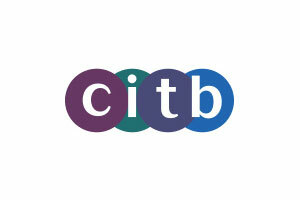 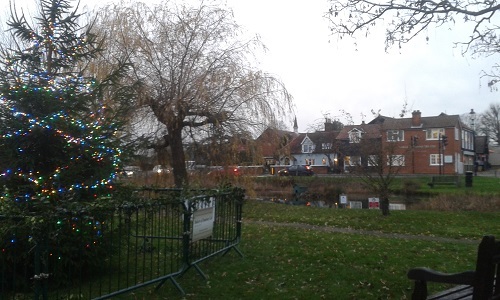 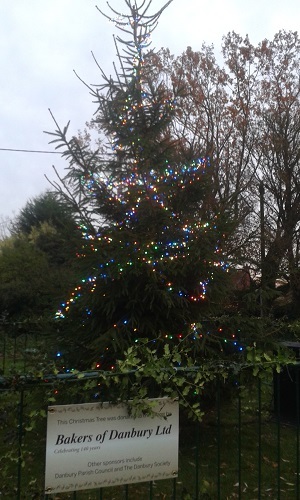 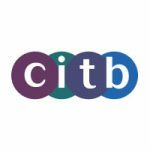 These events have been made possible by a grant from the Heritage Lottery Fund to a partnership led by Epping Forest District Museum. 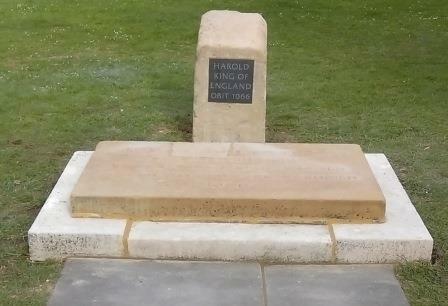 The monument is the focus for the annual memorial event commemorating the death of Harold on 14 October, organised by the King Harold Day Society.